Like Baseball, Decisions Made In Winter Tell The Tale For Summer Success. Seller Sez "Play Ball", Offering An Irresistible Discount Price Good Till The Spring. 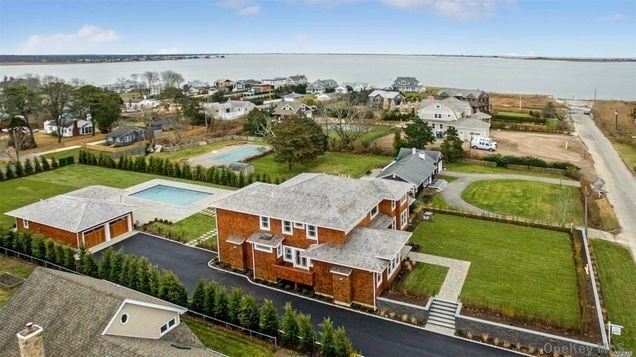 This 4600 Sq Ft Hamptons Trophyhouse And Pool House Offers Master Suites On First And Second Floors, Multiple Decks With Bay Views, Chefs Kitchen With Large Center Isle, Hardwood Floors, Gas Stove, Heat And 2 Gas Fireplaces, Central Air, Huge Windows, Entertainers Delight Includes 20 X 40 Gunite Salt Heated Pool W/ Huge Patio. Party Time!